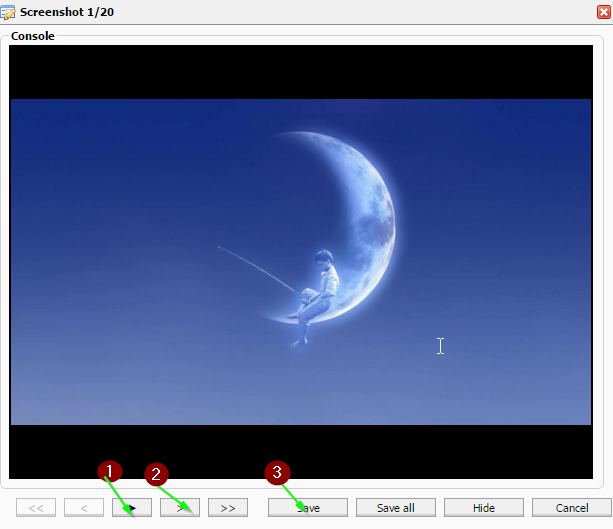 There is a really nice plugin in rtorrent which allows you to make screenshots of your video files which may become handy.This plugin is installed by default. Frame count is the amount of screenshots you want to take. Start frame offset,s is when the plugin will start taking screenshots (in seconds). Time between frames,sis the time between each screenshot. Slideshow interval is the time it takes to switch between the images during Slideshow you activated. Image format- You can choose JPEG or PNG format. Saves the Screenshot to your computer.